Agnus castus – a remedy easing through Peri-menopause | Clever H. - the Mag! This valuable herbal medicine comes from a plant that is native to the Mediterranean plant. The medicinal effect is extracted from the ripe dried fruits of this shrub. In ancient Greece, Rome, and Egypt, Agnus castus was tightly interwoven in religious traditions, while being firmly embedded in the medical practices of the time. Also known as Vitex Agnus castus, ‘Chaste-berry’, or as ‘monk’s pepper’, one of it’s ancient traditional uses was that of an anti-aphrodisiac; a remedy to diminish sexual desire. It’s use was therefore wide spread amongst monks who had pledged chastity. Quite interestingly, since then, numerous sources have stated that Agnus can curb the sexual appetite in men, but acts as an aphrodisiac in women. Agnus’ application however has broadened with time and it has become an important remedy for gynaecological complaints in women. It’s action radius is vast, as Agnus castus has shown effect in various menstrual disturbances. It has been found to ease premenstrual complaints, to regularize periods, to balance blood flow, and to assist through the peri-menopausal & menopausal transition. Particularly in Peri-menopause, Agnus has become invaluable to many women that are not to keen to, or are unable to take synthetic hormonal support for balancing hormones, in order to relieve of associated symptoms and discomforts. Peri-menopause is defined as the time-period of up to 10 years prior to actual menopause. During this transitional phase women’s hormonal levels begin to change, causing alterations in women’s menstrual cycles. As the production of hormones becomes unbalanced, the menstrual pattern of women becomes irregular and erratic. Women may experience an increasing severity of PMS (pre-menstrual syndrome), alterations in menstrual bleeding, such as longer duration and greater intensity, and other physical and emotional discomforts including hot flashes, mood swings, insomnia, loss of libido and weight gain amongst others. While for some women this pre-phase runs smoothly without much discomfort, some women may have severe symptoms that impact their everyday life immensely. While Menopause, the one year following a woman’s last period, after which she is no longer able to become pregnant, is characterized by ever lowering levels of oestrogen (and other hormones), Peri-menopause typically sees sinking and fluctuating levels of progesterone. This generally sees oestrogen becoming dominant, over the progesterone, leading to the above described discomforts and complaints. Such dominance can, beyond the above mentioned symptoms, lead to menstrual flooding, extra periods, and spotting during the latter half of the menstrual cycle. This is where Agnus castus can become helpful. Agnus castus itself is not a hormone, not a plant/phyto-hormone, but, its biochemical constituents can trigger the mechanisms that adjust the production of those hormones that characterize the menstrual cycle. It appears to be able to stimulate and balance the function of the pituitary gland by inhibit the secretion of follicle stimulating hormone and stimulating the secretion of luteinizing hormone, which conversely regulates the production of progesterone in the body, as such recreating harmony in the oestrogen/progesterone balance. Consequentially this means that Agnus castus can regulate ovulation, hence can assist at finding balance again, after the use of contraceptives, and can, as such, promote fertility. Since the imbalance of hormones is the main factor associated with Peri-menopause, Agnus castus is a true game changer for many women during this transitional phase. The use of Agnus castus for its ‘hormone balancing’ impact is has to be administered for an extended period of time, at least over 4 to 6 months, for a full and lasting effect. Please note adverse effects as stated by manufacturers, and refer to the package insert for dosage and administration instructions. MAYO, J. (1998) ‘Black Cohosh and Chasteberry: Herbs Valued by Women for Centuries’,CLINICAL NUTRITION INSIGHTS,Vol. 6(No.15), pp. 1-4. Prior J. (2010)Progesterone Therapy for Symptomatic Perimenopause, The Canadian Fertility and Andrology Society conference 2010: Centre for Menstrual Cycle and Ovulation Research. DiPasquale. 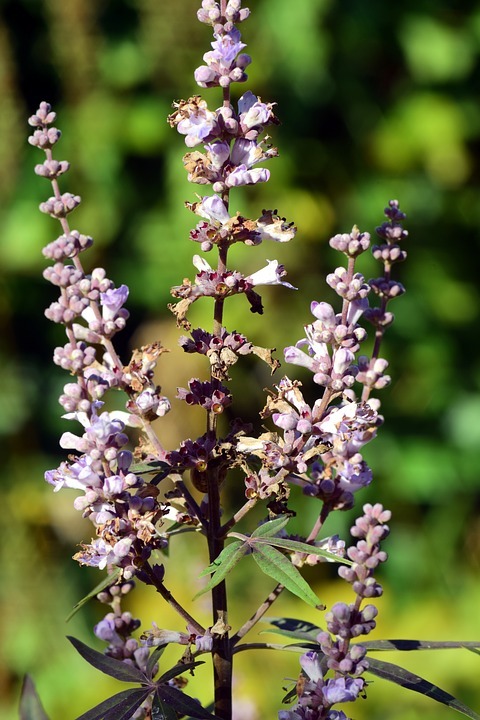 R. (2015)INSIGHTS INTO VITEX AGNUS-CASTUS, PAST AND PRESENT,Available at:https://ndnr.com/pain-medicine/insights-into-vitex-agnus-castus-past-and-present/(Accessed: January 2019). MedicineNet (2018)9 Signs of Perimenopause,Available at:https://www.medicinenet.com/script/main/art.asp?articlekey=8943(Accessed: January 2019). The Root Circle (2018)Vitex For Female Health And Hormonal Balance, Available at:https://therootcircle.com/blog/2018/4/28/vitex-and-all-her-mysteries (Accessed: January 2019). Weed, S. (2002) New Menopausal Years, 1st edn., New York: Ash Tree Publishing. Women in Balance Institute (2019)Perimenopause & Menopause Defined,Available at:https://womeninbalance.org/about-hormone-imbalance/perimenopause-menopause-defined/(Accessed: January 2019).